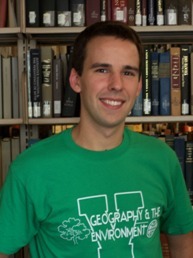 Eric Wagner, a junior geography major from Fogelsville, Pa., was selected the September Student Employee of the Month for Falvey. Joanne Quinn, Falvey’s design specialist, will create a caricature of Wagner to be displayed on the pillar behind the main service counter. Check it out!